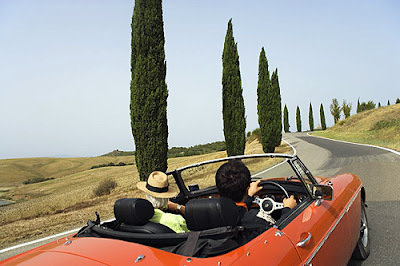 Enjoy a holiday in a classic car thanks to Vintage Car Touring, sister company of Chianti Classic Car. Chianti Classic Car, a leading classic car rental company is thrilled to announce the launch of Vintage Car Touring, a sister company which specialises in organising holidays in vintage vehicles. The VCT website contains a detailed list of the many tours on offer, including trips around some of the most fascinating and sought after locations in Europe, from Chianti and the Val d’Orcia in Tuscany to the beautiful lakes in the north of Italy, as well as Provence, the French Riviera and Sardinia. Each tour has been planned in detail in order to guarantee a fantastic and unique experience for holiday-makers. VCT marries a passion for classic cars with a love for places of cultural and artistic interest. This is a completely different way of travelling, the journey itself is as marvellous as the rest of the holiday and driving is definitely not just a means to an end. Vintage Car Touring already has a wealth of experience in the vintage car rental sector. VCT is the natural successor of Chianti Classic Car, a company which hires out classic vehicles and is run by brothers Federico and Lorenzo Dini. These two young and enthusiastic businessmen were keen to branch out further into the tourism sector and offer tours not only further afield than Tuscany, but also with the highest level of customer care. The all-inclusive tours on offer by VCT allow holiday-makers to leave all their worries behind, relax and enjoy the trip. Everything is taken care of, right down to the tiniest organisational detail on these 1970s classic convertible tours. The number of cars on each tour is limited in order to ensure that groups stay together and have a better chance to get to know each other and enjoy each other’s company.